Mark your calendar for the third Friday of every month at 11:30am to join area seniors for a scrumptious, homemade lunch at Spring Creek Church in Pewaukee. Lunch is followed by a delightful musical concert! 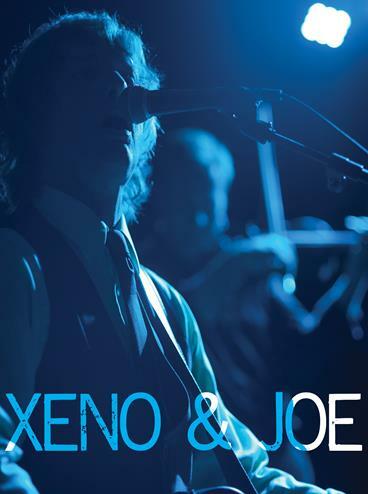 The Xeno & Joe duo has been thrilling audiences throughout the Midwest for years. It features the world class vocals and guitar of original "Cheap Trick" front man Xeno, and the virtuosic electric violin sounds of Skylight Theater and Beloit Janesville Symphony Concertmaster, Joe Ketchum. They perform a wide variety of classic rock hits from artists like David Bowie, The Beatles, The Rolling Stones, and others in a truly unique and powerful way. Xeno provides powerful vocals and Joe, through masterful use of electric effects and technique transforms his violin into instruments like electric guitar, organ, bass, even a full orchestra. The result is a gigantic sound produced live, without the use of "backing tracks". It is a show that really has to be seen to be believed. · Reservations must be made online by Friday, the week before the luncheon. · Please provide information for everyone in your party. To register, click here. · Payment ($12.00 per person) due at the time of reservation. · QUESTIONS? Call Spring Creek Church at 262.695.2211 or email jana@springcreekonline.com.